After an uncertain year, Twilight returns with a new focus on the future. Looking back on 30 years of Salt Lake City's Twilight Concert Series is an exercise in wistful remembrance. It started in 1988 on the hill by what is now the Utah Museum of Contemporary Art, focusing mostly on folk, Americana and roots music. 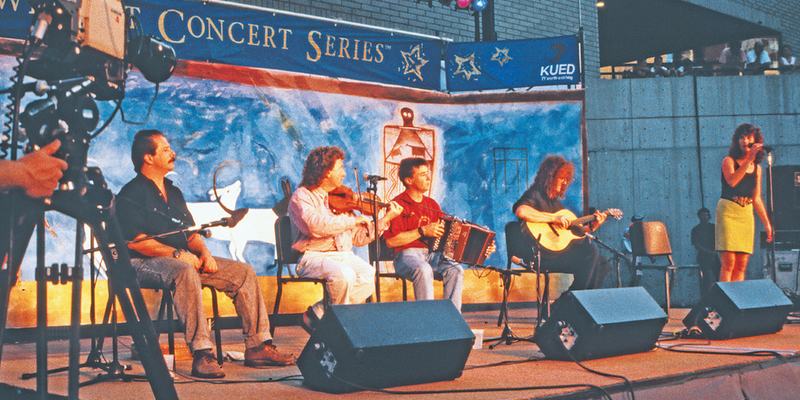 Anyone around in the '90s will remember blues legends like James Cotton, John Mayall and Junior Brown trading summer slots with bluegrass pioneers like Doc Watson and icons like Arlo Guthrie, all while slowly increasing doses of zydeco, Latin jazz and brass bands added flavor to the Twilight stew. Lara Jones, longtime reporter and KRCL 90.9 FM radio host, looks back on those days fondly, as many SLC veterans do. "My favorite Twilight period is way back," she says, "when people rolled out their picnics on the hill and artists played on the patio at the bottom of it. Small, intimate—those are my favorite concerts. Like you know a secret no one else does." 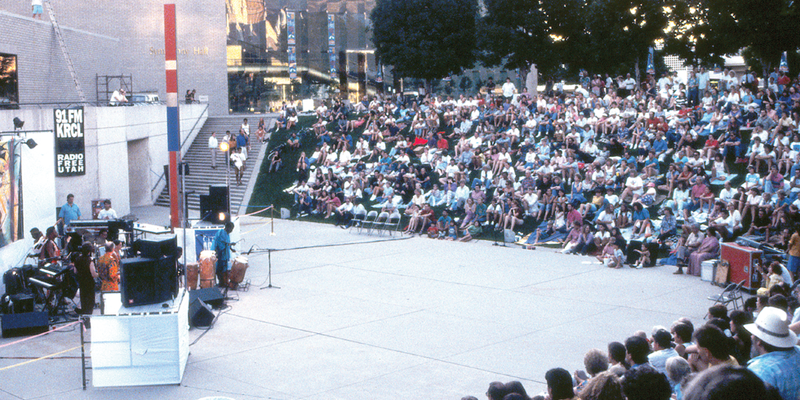 As Twilight grew, the series, owned by the non-profit Salt Lake City Arts Council and funded predominantly by the city and county, migrated to downtown's Gallivan Center, its home until 2010. By then, musical programming had taken a decidedly modern turn, attracting a new generation of musical stars like Jake Shimabukuro, MeShell Ndegeocello, Michael Franti, Galactic and Keller Williams. Two years later, Twilight boasted the expansive setup and far-flung lineup of even the best superfest: Broken Social Scene, Run the Jewels, Neko Case, The Roots, Bon Iver, Pusha-T, Sonic Youth, My Morning Jacket, Wu-Tang Clan, The Black Keys, Lauryn Hill and many more performing on a giant stage at Pioneer Park. The crowds flocking all over Salt Lake Valley this summer to see The Flaming Lips, Belle & Sebastian, Trombone Shorty, Death Cab for Cutie, The Decemberists, Beach House, and Father John Misty are probably doing so because of their past exposure to those bands at Twilight. We've all heard the story by now: Less revenue came in while far more money went out in costs during the series' seven-year run at Pioneer Park. The arts council initially announced that due to cost overruns, Twilight would take a hiatus in 2018. Local firm Broadway Media then stepped in to fill the void and bring the series back to its longtime home at Gallivan Center—and back to its original purpose. Thanking the series for shaping his musical taste and informing his take on the musical world in general, Jake Jensen, vice president of events for Broadway Media, describes the task of taking over Twilight as both daunting and inspiring. "Twilight is one of those foundational pieces of the music scene here in Salt Lake City," he says. "I grew up in Cottonwood Heights and spent my Thursday nights in the summer coming downtown to Gallivan Center. It introduced me to new music and afforded me the opportunity to see legendary acts for very little money." Salt Lake City Arts Council Executive Director Karen Krieger says that passion appealed to her and the SLCAC board. "Our vision for Twilight is to provide renowned artists that are very accessible—both in price and in location," she says. "Broadway has resources in areas that we haven't had much depth in, so it's a great opportunity to maximize strengths of both organizations." Praising the council's commitment to accessibility, Jensen says the new regime shares that focus. "By moving it back to Gallivan Center, we can improve the individual experience of fans," he says. "We've brought Twilight within 20 feet of a TRAX station. We've made it more accessible for bikes. Over 40 percent of the parking spaces in downtown Salt Lake are all directly around the Gallivan Center." Partnerships with surrounding small businesses further enhance Twilight, Jensen says. He points to what he calls the Gallivan Avenue "food alley," which features five locally owned and operated restaurants, along with plans to create a 21-and-over space for fans to enjoy cocktails in addition to craft beer. Jensen is also quick to sing the praises of long-standing area production companies and sponsors. "Everything on the Gallivan site [will be] a locally owned Salt Lake company," he says. "We've really focused on staying true to that original Twilight purpose." Although Broadway and the arts council only signed a one-year pilot deal to co-produce the series, both entities anticipate enough success—an estimated 7,000 fans shelling out $10 per concert ticket on Aug. 16, 23, 30 and Sept. 6 and 13—to look ahead to the future. "Our investment in this is for the long term," Jensen says. "There were difficulties with costs at Pioneer Park; it wasn't necessarily a long-term sustainable model. Our goal is to build Twilight into something that can self-fund itself with a financial footprint that will allow it to continue." The Twilight Concert Series certainly faces much stiffer music festival competition in 2018 than it did in '88. Surprisingly, on this point Jensen sounds the most optimistic. "It's an incredible time to be a music fan in this market," he says. "So many different people have built this scene, but Salt Lake is a big sandbox ... I'm a cheerleader of a successful downtown music scene. That is a healthy thing. If shows do well at The Urban Lounge, at The Complex, at Soundwell or at Red Butte Garden, all it does is create a better culture." Although as of press time the official lineup for this year's Twilight Concert Series hasn't dropped, Jensen promises it will turn heads and attract those diehard fans that have remained loyal since the series' humble origins. Jones, currently KRCL's manager of community content, has seen her share of stacked lineups and has one piece of advice for Salt Lake music fans: "Don't think about it, just go. [That's] my Twilight philosophy—just go and enjoy the experience."